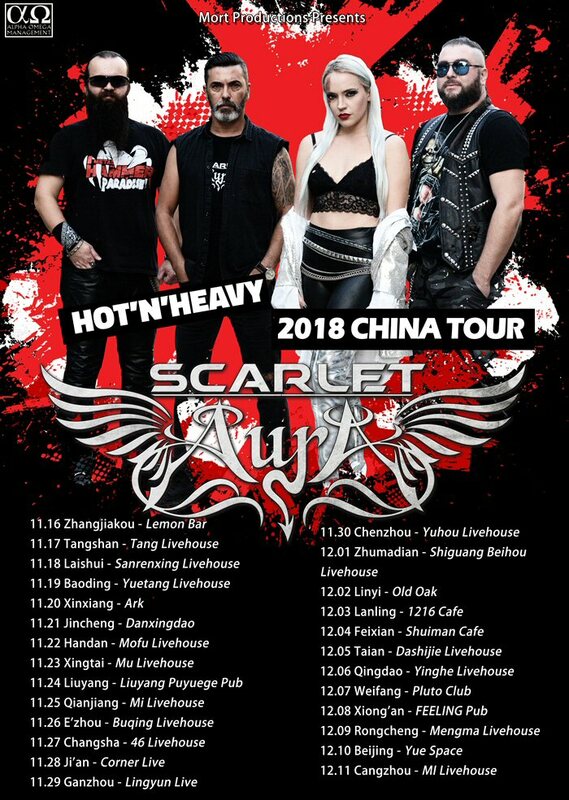 Romanian female-fronted heavy metallers SCARLET AURA are going on a 26 shows headlining tour in China in November-December 2018 as second leg of Hot’n’Heavy Release Album Tour! See the confirmed shows below. 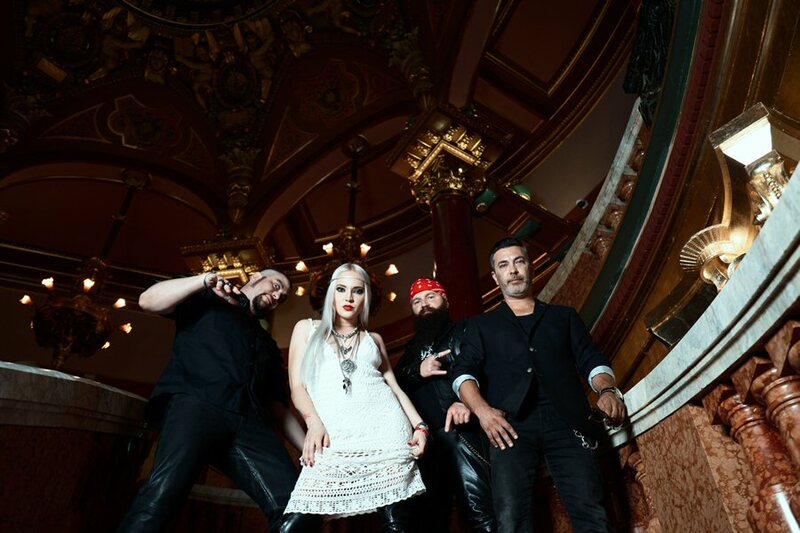 SCARLET AURA is the first Female-Fronted Heavy Metal band from Bucharest, Romania that got in the attention of the worldwide promoters and public as the rising metal star of the East with seductive, unique stage performances, sparkling appearance and bold music. The band just came back from the first leg of the Hot’n’Heavy Release Album Tour and already announced they`re first tour in China! “As I always say in concerts, music has no politics, no borders, no religion! Music is love! Getting our music to China is a dream come true and we are so grateful for all the results of our work! 2018th has been already an amazing year and all we can say in few words is that we can`t wait to play Hot’n’Heavy for you guys and to introduce you to Scarlet Aura and our Scarlet world!” said Aura Danciulescu, the vocalist of the band. 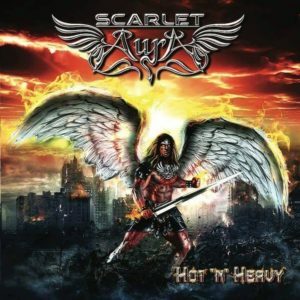 Hot’n’Heavy is SCARLET AURA’s 4th highly-anticipated studio album and heavily draws from symphonic and power metal to heavy metal and stays within unique sound and vision of SCARLET AURA. With this new album, the band brings a heavy sound, state-of-the-art production, and more dark and deeper lyrics about finding your true meaning and how to be yourself, how to dare to be different and have no fear as one never be alone through music, the right to fight for what you believe in and also for love, for friendship and music. For 2019, SCARLET AURA prepares an European Tour through Germany, France, Spain, Italy, Austria and many more countries in spring, participation to well known festivals in summer but also a new album in autumn that will be released and promoted also with an amazing tour and shows!